William B. Eerdmans Publishing Company, 9780802874177, 176pp. In our increasingly secular world, what good are the church's sacred practices, and why do they even matter anymore? With insight, wit, and unsparing honesty, Benjamin Dueholm in this book explores the crucial place and power of Christian practices in ordinary, everyday life. 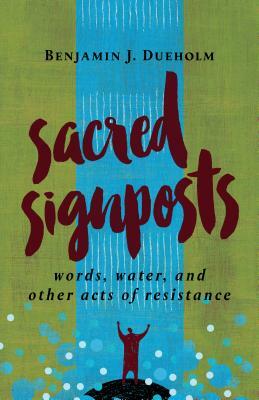 Drawing on modern-day realities and ancient roots, firsthand experience and centuries of history, pop culture and high theology, Dueholm offers a visionary account of the critical, radical, life-affirming role that seven "sacred signposts" play in today's post-Christian world. Benjamin J. Dueholm is pastor of worship and education at Messiah Lutheran Church in Wauconda, Illinois. His writing has appeared in The Christian Century, Aeon, Killing the Buddha, and Religion Dispatches.